The water level is rising and species such as cod and herring are moving to colder waters. FRIENDSHIP — Imagine Cape Cod without cod. Maine without lobster. The region’s famous rocky beaches invisible, obscured by constant high waters. It’s already starting to happen. The culprit is the warming seas — and in particular the Gulf of Maine, whose waters are heating up faster than 99 percent of the world’s oceans, scientists say. Long-established species of commercial fish, like cod, herring and northern shrimp, are departing for colder waters. Black sea bass, blue crabs and new species of squid — all highly unusual for the Gulf — are turning up in fishermen’s nets. 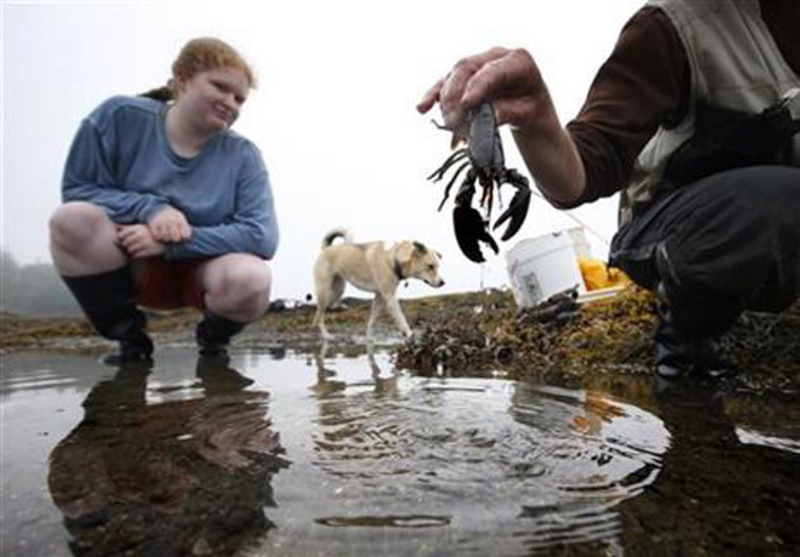 The Gulf of Maine’s warming reflects broader trends around the North Atlantic. But the statistic — accepted by scientists at the National Oceanic and Atmospheric Administration — underscores particular fears about the Gulf’s unique ecosystem and the lucrative fishing industries it supports for three U.S. states and two Canadian provinces. “These changes are very real, and we’re seeing them happen quickly,” said Malin Pinsky, a biology professor at New Jersey’s Rutgers University who studies ocean temperature change and was not involved in the research that resulted in the 99 percent statistic. 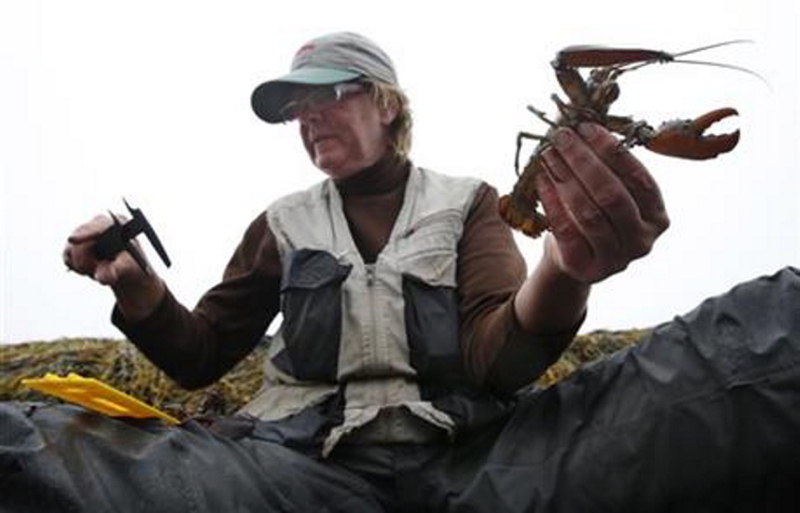 The shore of a cove off Maine’s Friendship Long Island has long been the best site on the East Coast to find baby lobsters, she said. Around 2007, she couldn’t lift a rock without finding one, and usually found several. But the rising sea has prevented her from getting there much since 2010, she said, because it’s almost always underwater. “Things have changed dramatically,” she said. The rising sea is connected to the warming waters because higher temperatures make the water less dense, said Bob Steneck, a professor at the University of Maine’s School of Marine Sciences. “Atmospheric events” could be pushing additional heat into the Gulf, causing a “perfect storm” of conditions that combine to dramatically raise temperatures there, said Nick Record, a research scientist at the Bigelow Laboratory for Ocean Sciences, a Maine center for oceanography. Pershing and many peers agree. The Gulf of Maine’s temperature is expected to rise more than 4 degrees by the end of the century, Pinsky said. The 99 percent statistic isn’t arbitrary. Pershing and others compared ocean trends and presented the figure to NOAA in April. Pershing’s work illustrates that the Gulf is indeed among the fastest-warming bodies of water, said Roger Griffis, climate change coordinator for NOAA Fisheries Service.